Rest the olive on a cutting board. Lay a chef’s knife on its flat side directly over the olive. Press down on the knife and olive with the palm of your hand until you feel the olive give way—it doesn’t take much pressure to get there. You will feel it and know that you have dislodged the pit. Tear open the olive lengthwise and pull out the pit. 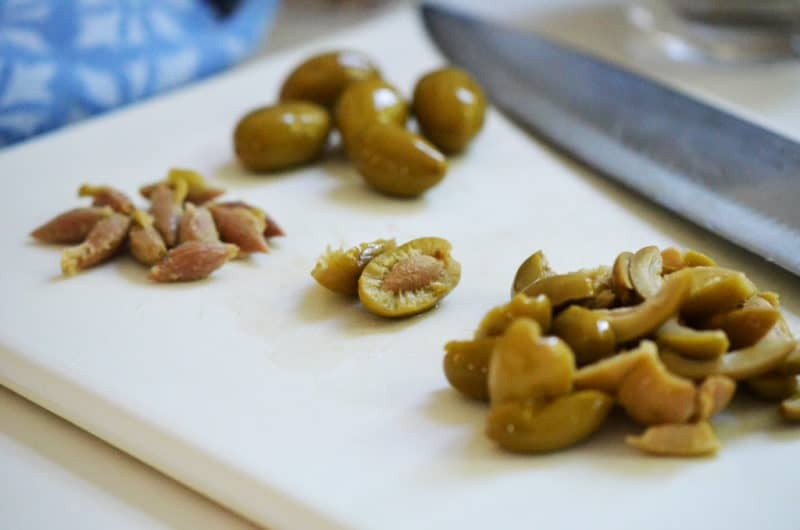 Pitting olives is like venting to a good friend. You get it all out there; no harm, no foul. 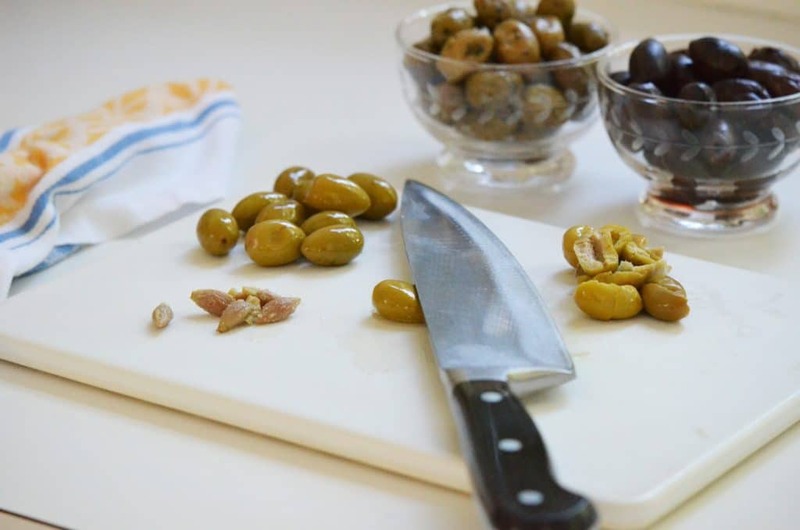 You may end up pitting more olives than you need just for the pleasure of feeling the olive give way under the knife. That’s just fine because you can use as many as you’d like in our Lebanese olive salad, coming up tomorrow. Or chop them up and get a tapenade going to eat with some crackers. Glass of wine. Then you’ll be so content you won’t know anything needed venting in the first place. 4 Responses to "Technique: How to pit an olive"
Thanks for this handy tip, Maureen! I’m loving your blog! Just tried it and it worked like a charm – I feel silly telling you that I would sit down with a small paring knife and painstakingly carve around the pit. I’m really enjoying your blog, beautiful stories and great advice!